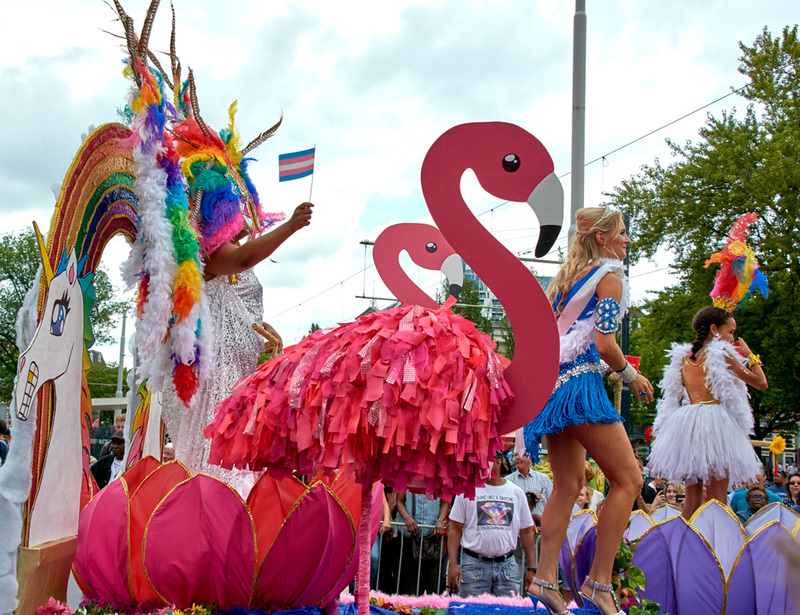 In collaboration with Rotterdam Pride, The Hang-Out 010 and Passionada, we were asked to design and build a float for the street parade during Summer Carnival in Rotterdam (Zomercarnaval). 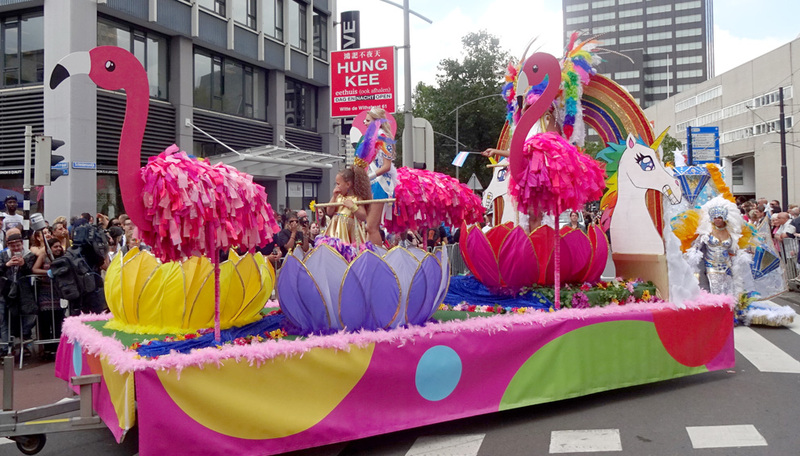 After we designed the float with the given theme ‘Garden of Eden’, we built the base of three giant flamingos, colorful lotus flowers and two cheeky joyful unicorns to emphasize a bombastic happy landscape. Together with the volunteers of the three organisations we finished the float full of glitter fabric in three weeks. 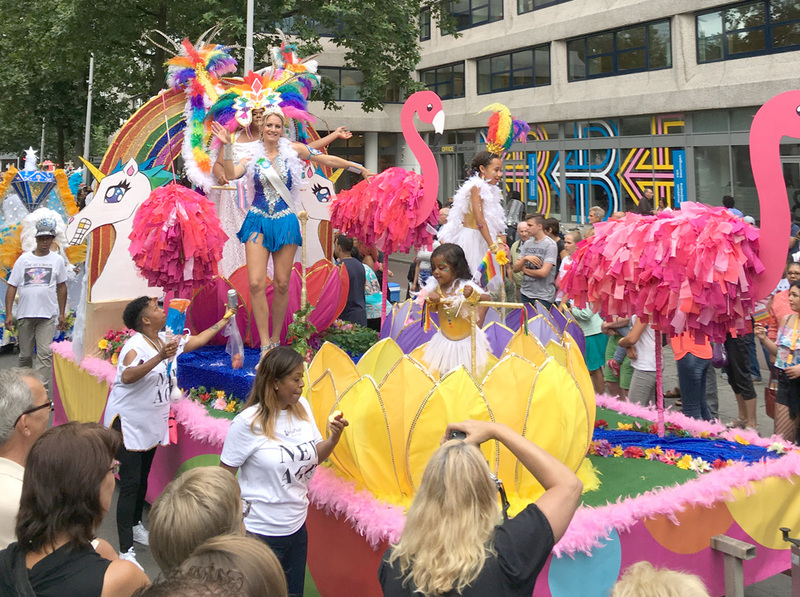 The carnival float was nominated as one of the best 4 of the Summer Carnival and won the third prize, Zomercarnaval 2016.